One of the benefits of buying vintage things to resell is that I get to display some of them in our house till they sell. 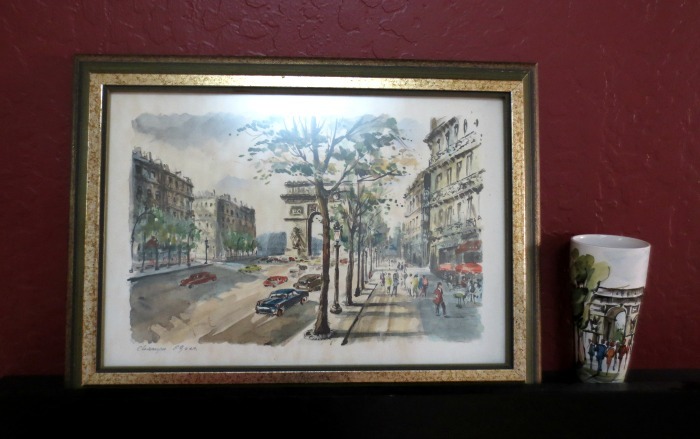 But I’ve learned the hard way that some things sell faster than I want, so a few I haven’t listed yet, like this Paris Ardant watercolor I bought a few months ago. I was in Paris decades ago when I was two months pregnant with my oldest daughter. I had accompanied my husband on a business trip and we had had a few days together to explore the city. Later when he was at the office, I explored the city on my own and it was lovely. And April. (Yes, April in Paris.) 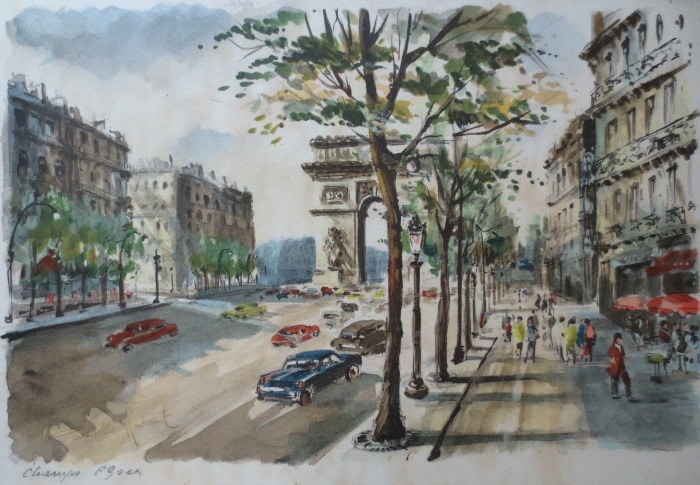 I remember having coffee at sidewalk cafe on the Champs-Élysées. This very street. So I think, I might hang on to this painting for a bit. And then I discovered that the vintage red and gold ashtray I got a week ago looks great on my coffee table with a few other secondhand items including my $1.74 ceramic vase. Hmm…I think I’ll hold off listing this for a bit!! 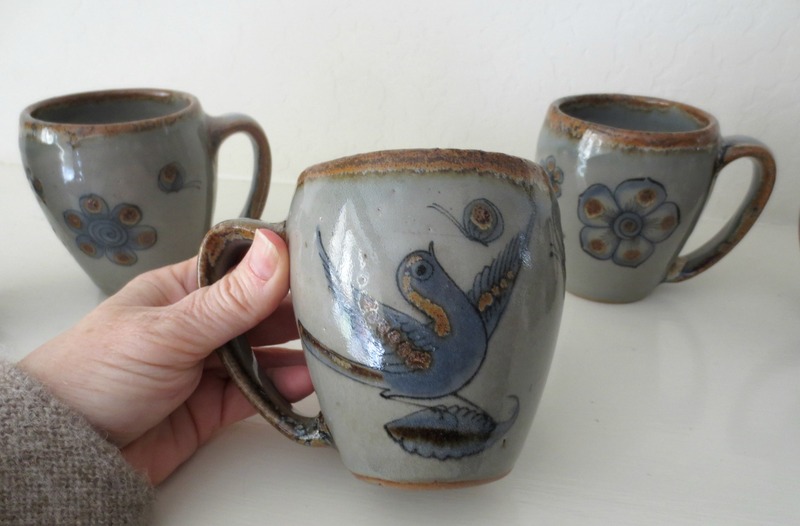 And I listed the six handpainted Ken Edwards, Tonala, made in Mexico mugs also found at Goodwill. These are so nice and collectible. 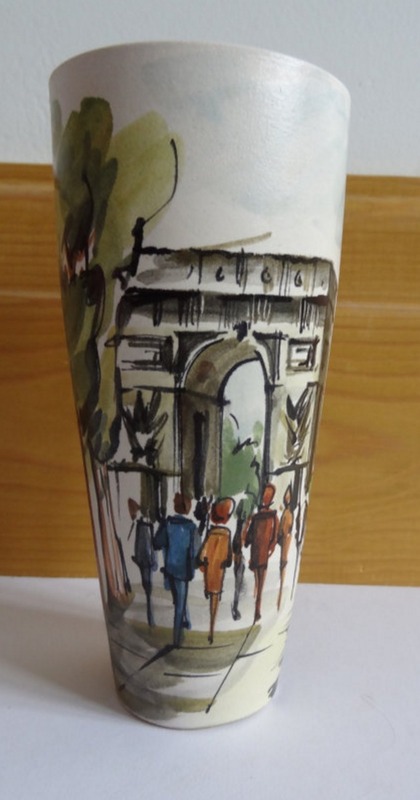 I have these in my china hutch, but I am not going to use them as I don’t want to risk breaking one! 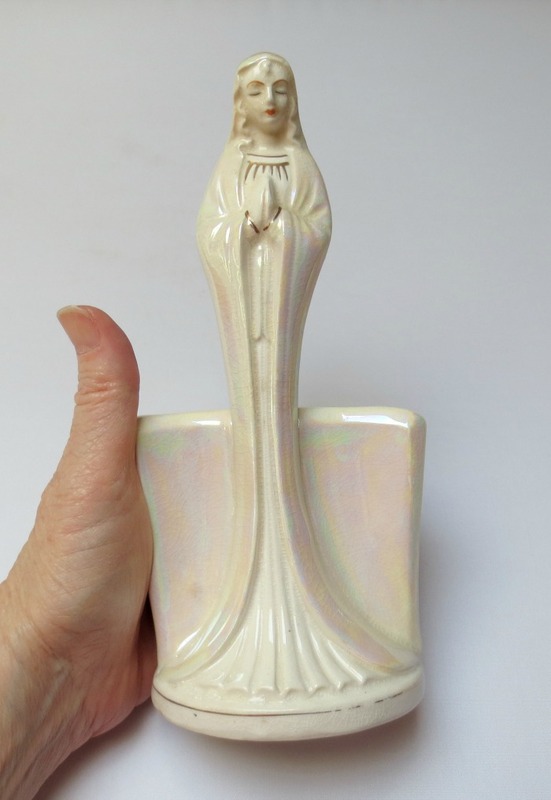 And I also listed this wonderful 1950s Haeger ceramic planter which would be perfect for a bonsai plant or corralling recipe cards, matches, etc.